Sometimes people ask me about my blog. How did I design it? What services do I use? What platform am I on? You get the idea. So I’ve listed some of the products and services that I use regularly below. Note: Some of these links are affiliate links and I will get a small commission (at no extra cost to you) if you purchase them through this website. I have only listed those which I use and personally feel good about recommending to others. Click here to read my full disclosure policy. I use the Genesis framework created by Studiopress and their free child theme, Sample. I really like Genesis because there is a lot of customization available and plugins. It’s also relatively inexpensive. Especially since I used a free child theme which means I can make changes to the child theme and when they update WordPress and they do it several times a year it seems I won’t lose anything. Like a lot of people, the majority of my traffic comes from Pinterest. 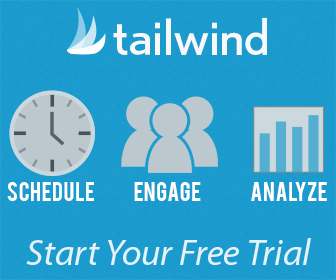 I use Tailwind to schedule my pins and to help me analyze they way I pin, my boards and more. Tailwind allows me to schedule pins for any site and from Pinterest itself but they also provide analytics on even the basic plan which includes keeping track of popular pins, group board engagement, and your referral traffic. I use Picmonkey to edit my photos and to make graphics for my site. They have a free trial offer, but once you start to use it you’ll easily get hooked. It’s extremely easy and fun to use. The annual fee is very affordable, and you get access to some really cool graphics, fonts, and tools which I have found to be well worth the price. Once I learned a little more about photography, I decided to purchase Adobe Lightroom for my editing. It has made a world of difference. 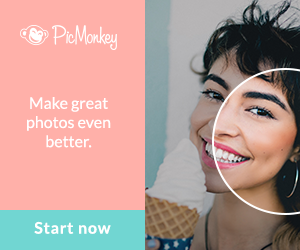 You can really make your images, old and new, look fantastic. However, since this is a powerful tool, it’s hard to figure out where to get started, and how to take advantage of all the features. This video course is perfect for beginners and there is a master course too. The instructor, Beth is an established blogger and she does a great job of teaching the program in an easy and approachable manner. Many people ask me about my photos. I started with an iPhone but quickly realized that I needed a DSLR. I currently use an older model Canon Rebel T3. It’s pretty pricey but worth it. In addition, I use a 50 mm lens for 90% of all of my photos. This special lens is very reasonably priced and works great for close shots like projects, food, and flowers. For room shots or larger areas, I use this wide angle lens. Lastly, and I’m sure you’ve heard of this. I really started to see a difference when I started using a tripod. This will allow you to take pictures in lower lighting because it will keep the camera stable and then you can photograph the image at a very low speed. When you shoot at a low speed the slightest movement will make your image blur so this is definitely worth it. My husband bought this one for me for Christmas and I really like it. It’s heavy duty which is great because I use it all the time for every image I shoot. If you have any questions about any of the programs or items please feel free to email me at patti@hearthandvine.com.